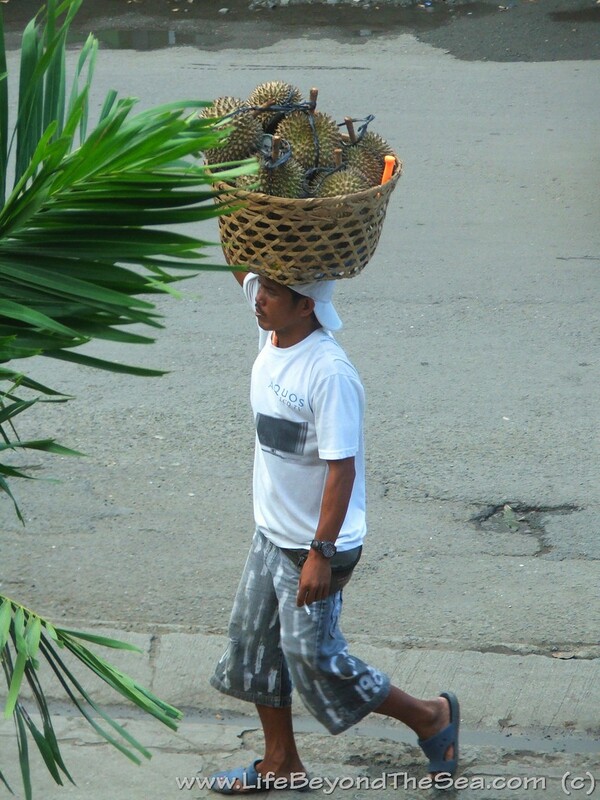 The fruits he is carrying are not pineapples.. those are 'Durian'. I've not yet tried it, but most people say it has something of an unpleasant smell.. but a delicious taste. Hmm, I guess I'll find out eventually.